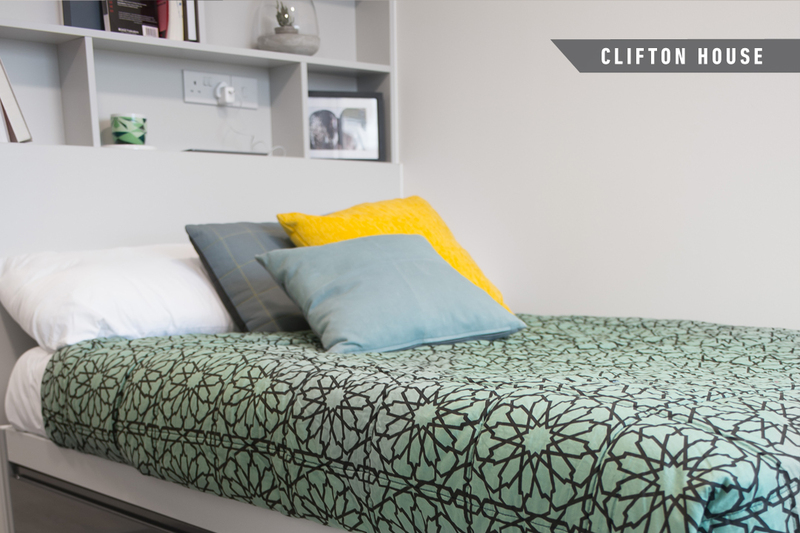 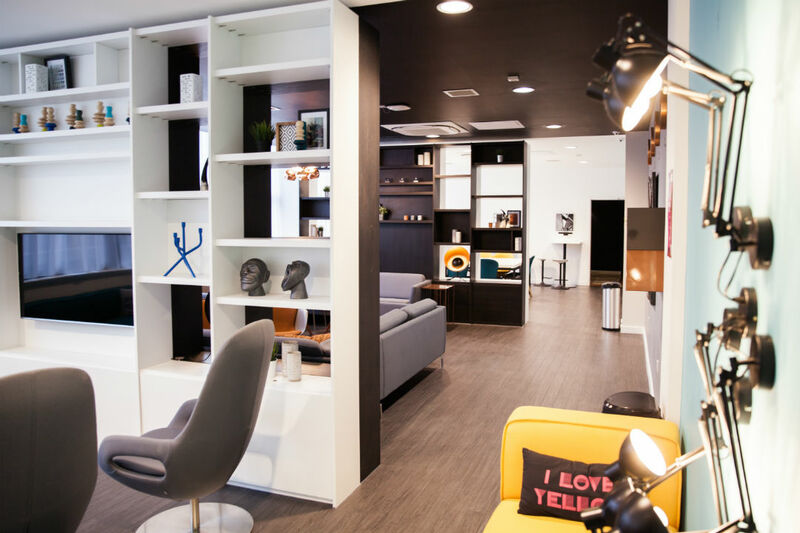 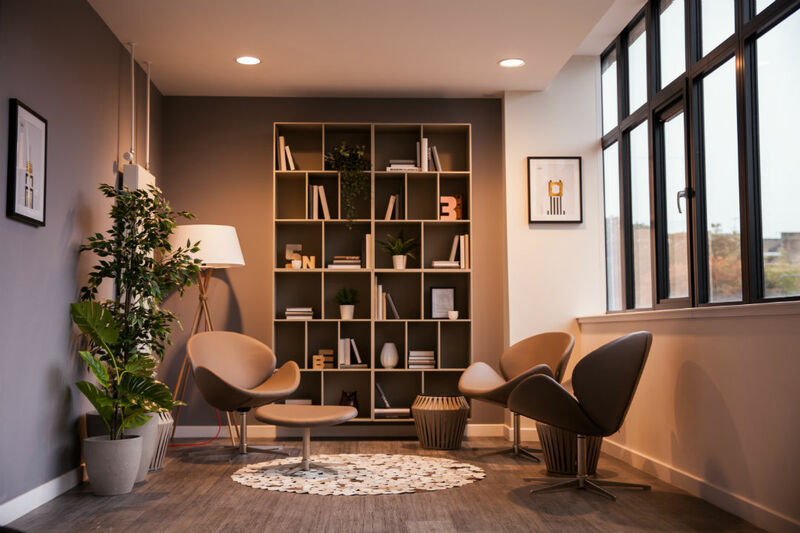 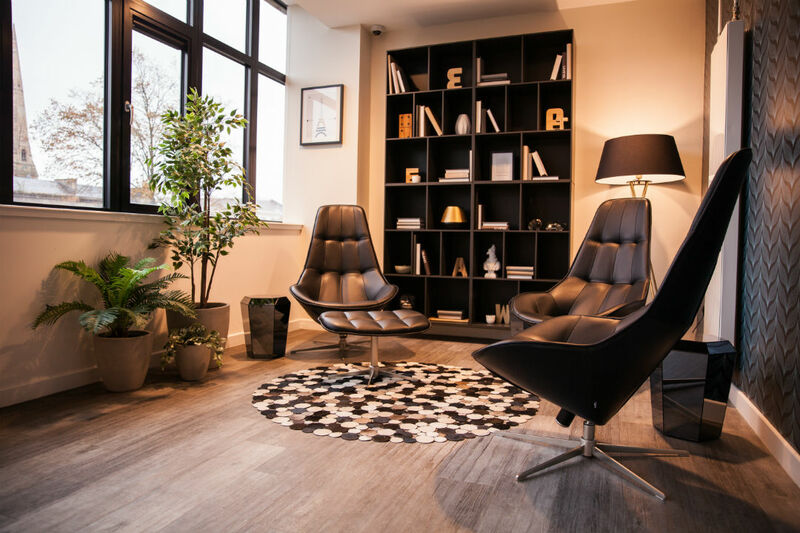 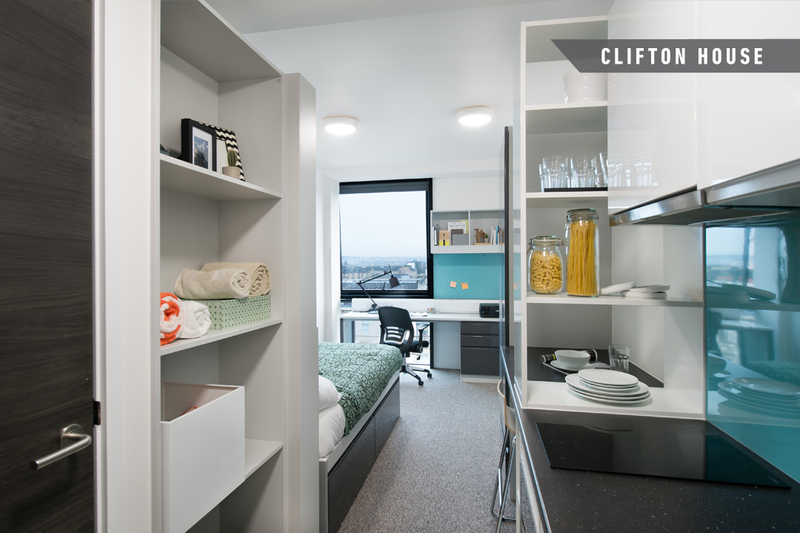 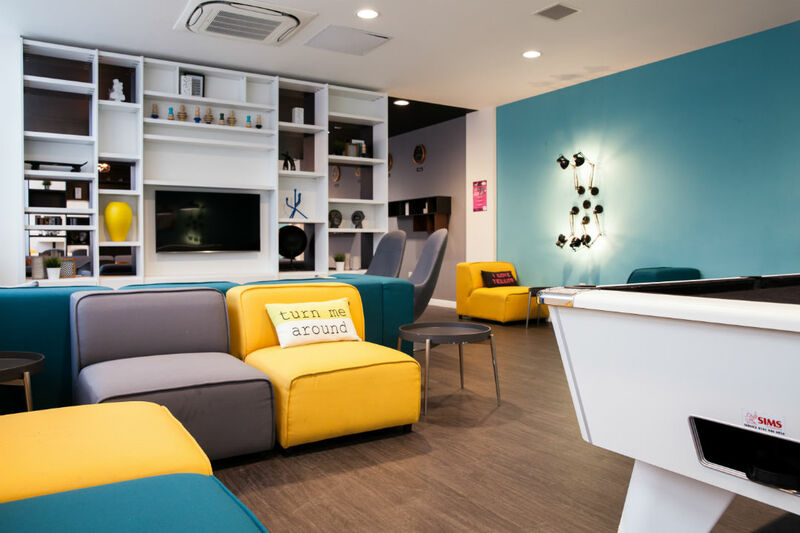 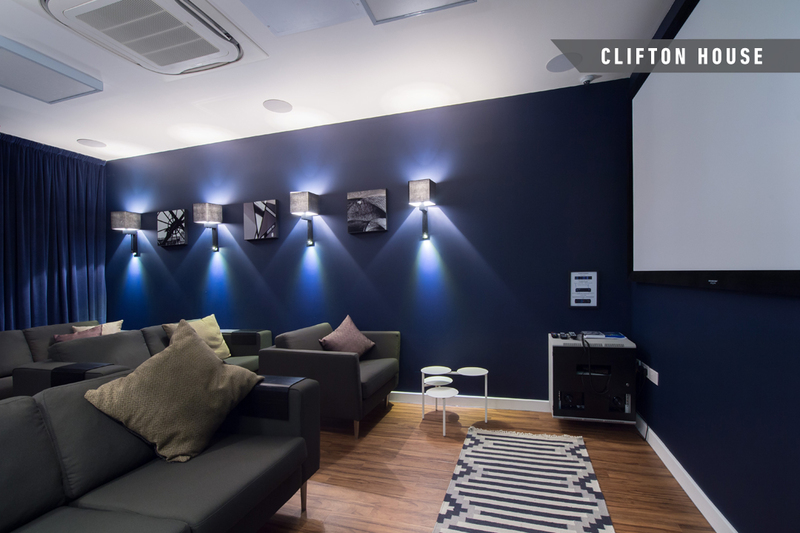 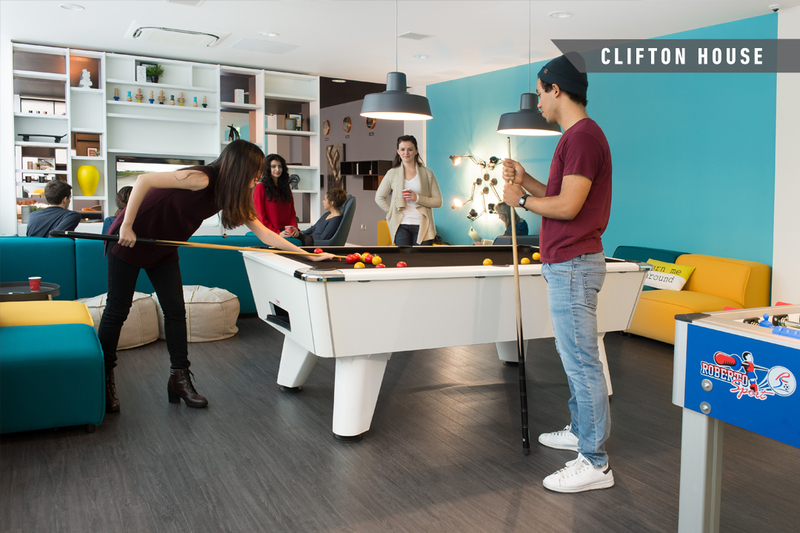 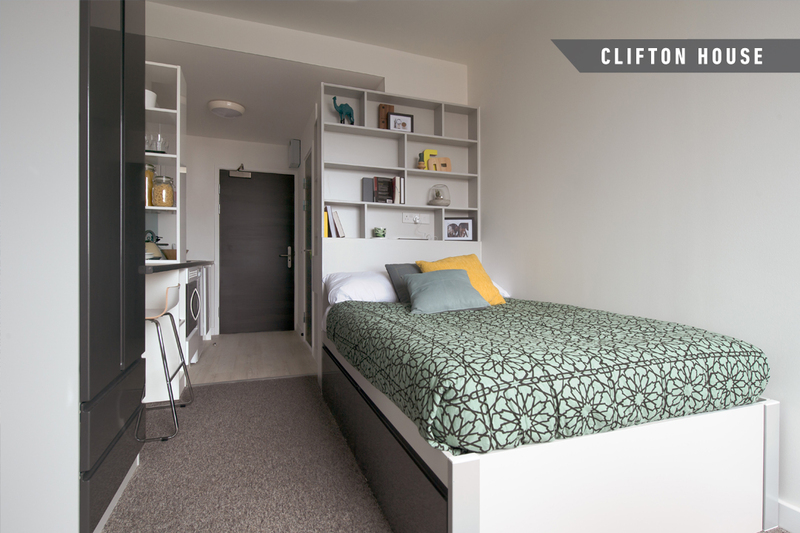 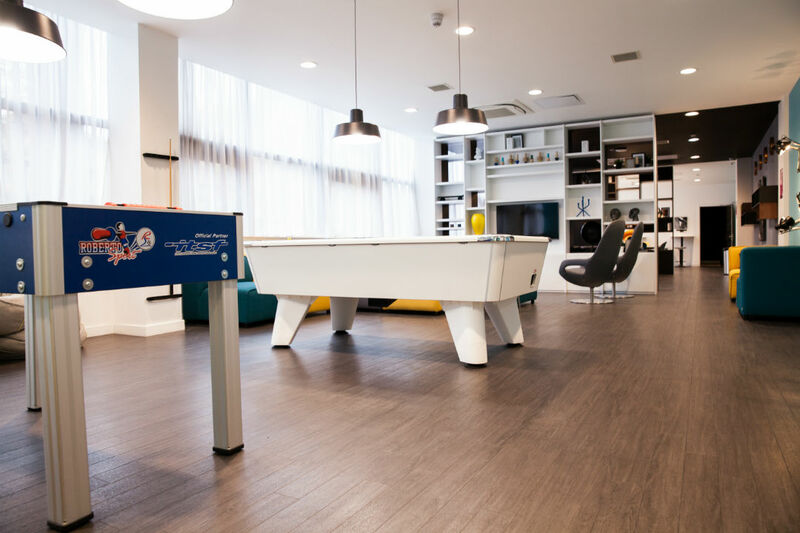 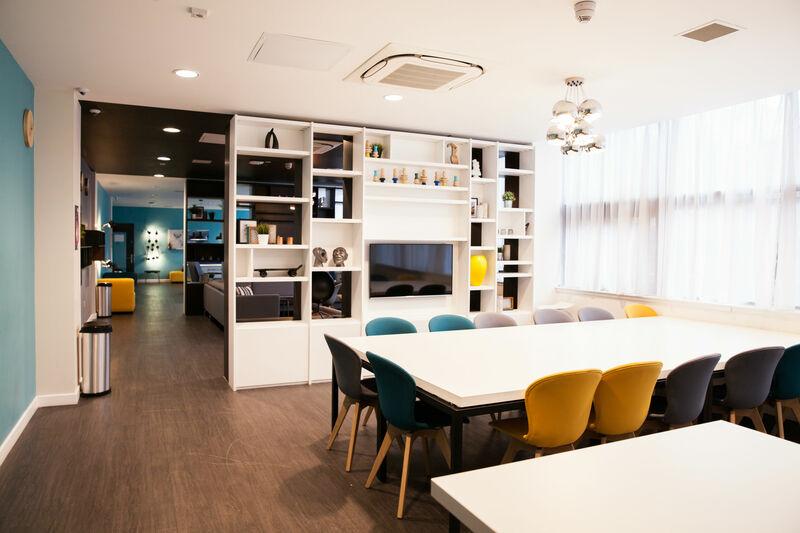 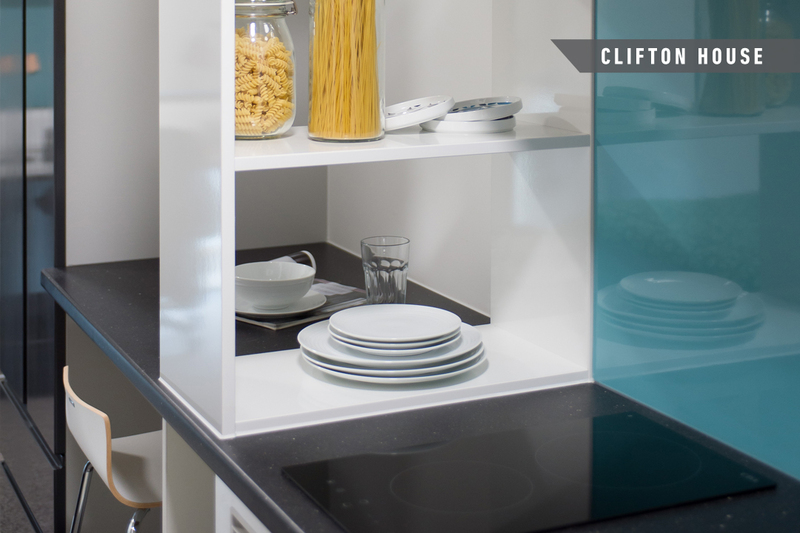 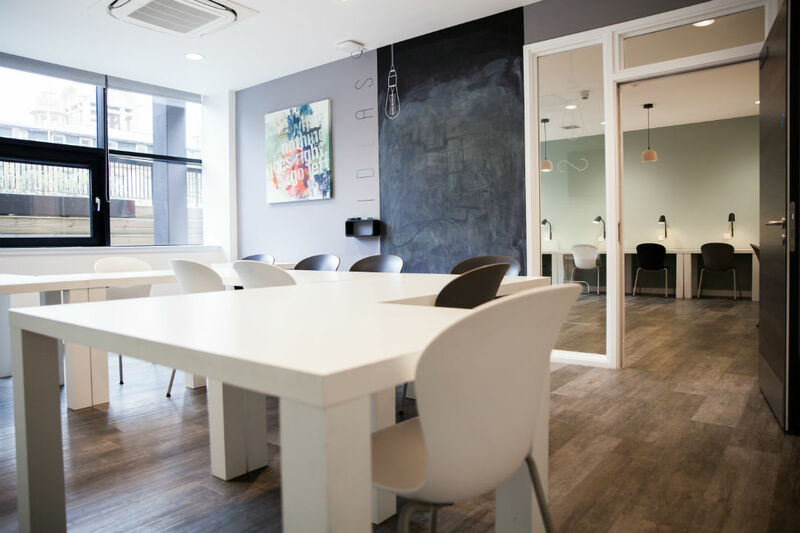 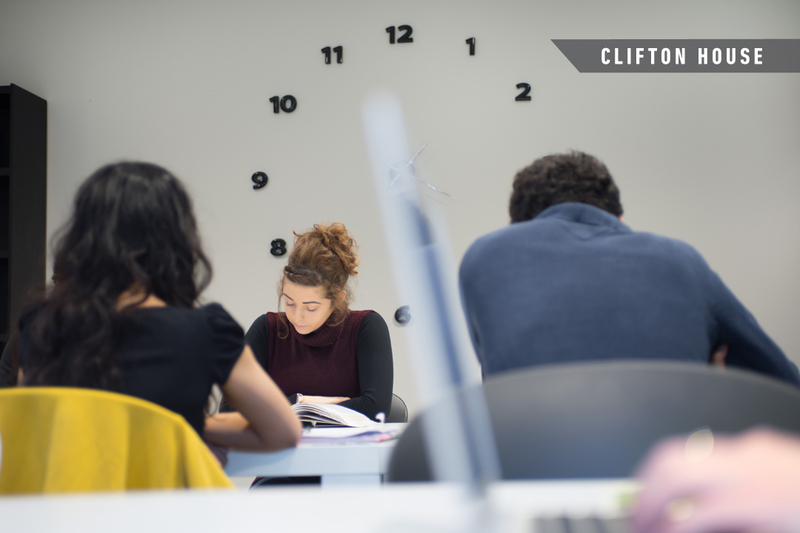 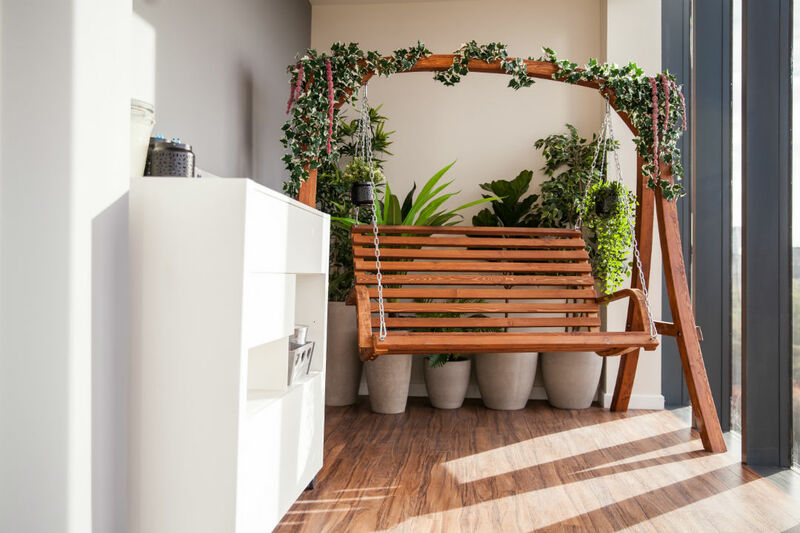 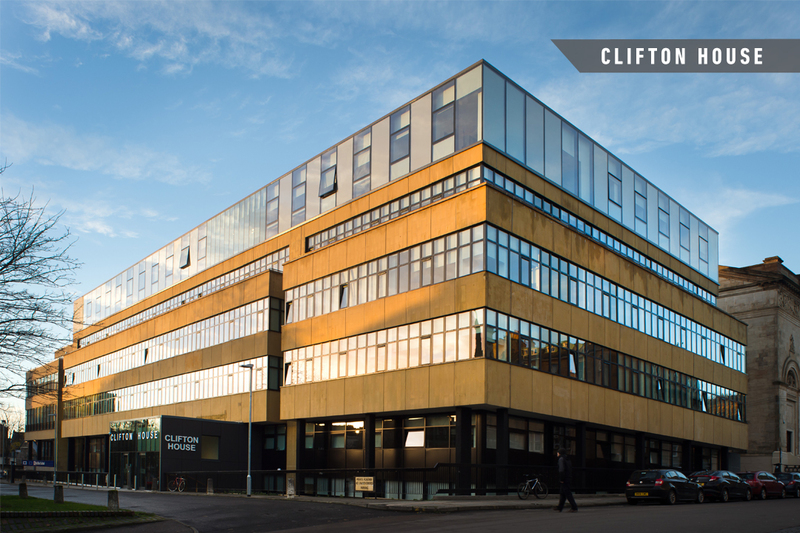 Clifton House offers you excellent high-end student accommodation situated in an ideal location in the trendy West End of Glasgow, enabling you to make the most of what this fantastic city has to offer. 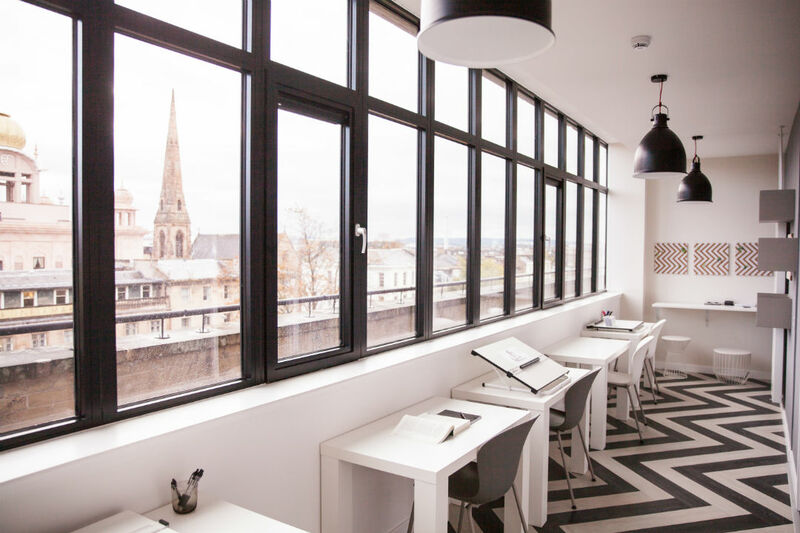 Located in Charing Cross you’ll be close to shops, bars and restaurants, the University of Glasgow is also only a ten minute walk away, whilst Strathclyde and Caledonian Universities and the Glasgow School of Art are within easy walking distance too. 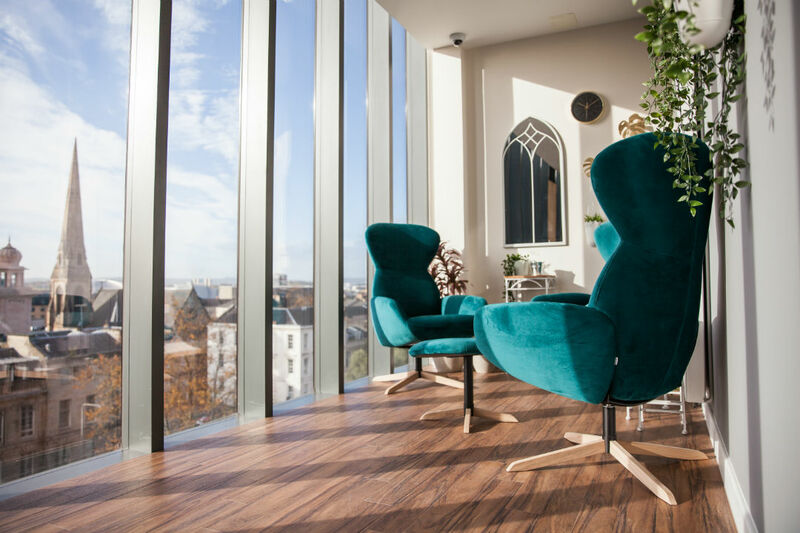 In addition, The Mitchell Library (one of Europe’s largest public libraries with over one million items of stock) is nearby and there are major bus routes with frequent services to the rest of the city. 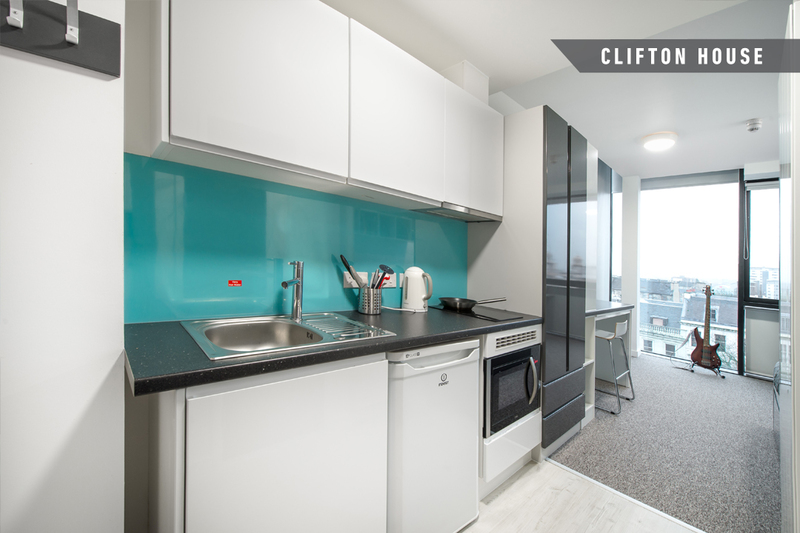 View our Area Guide. 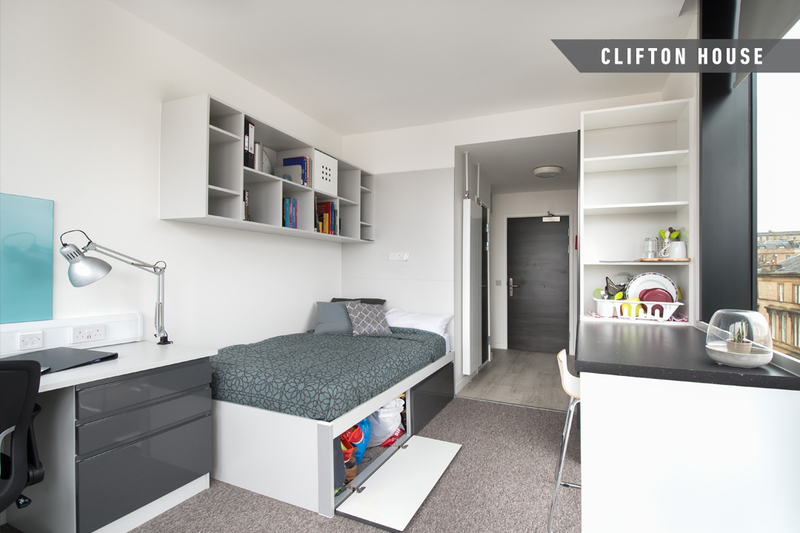 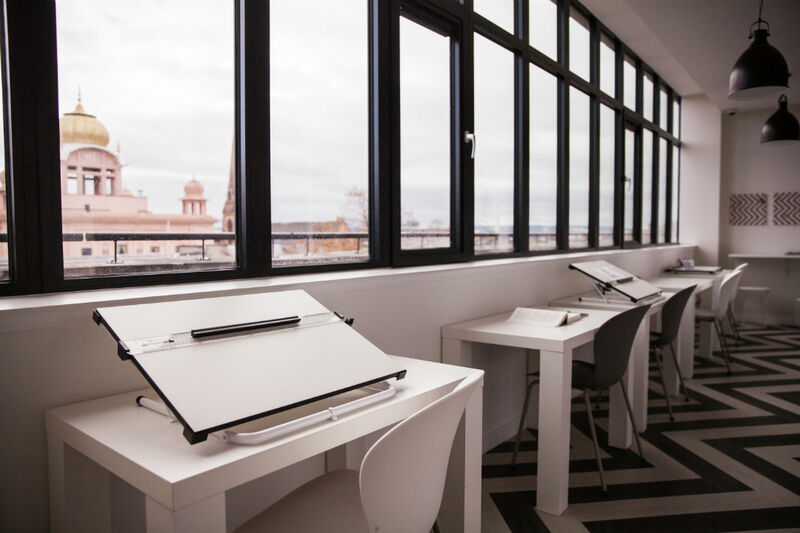 All accommodation is en-suite and you can choose to stay in one of our studio rooms which come complete with your own kitchen or opt for one of our flats that come with a shared kitchen. 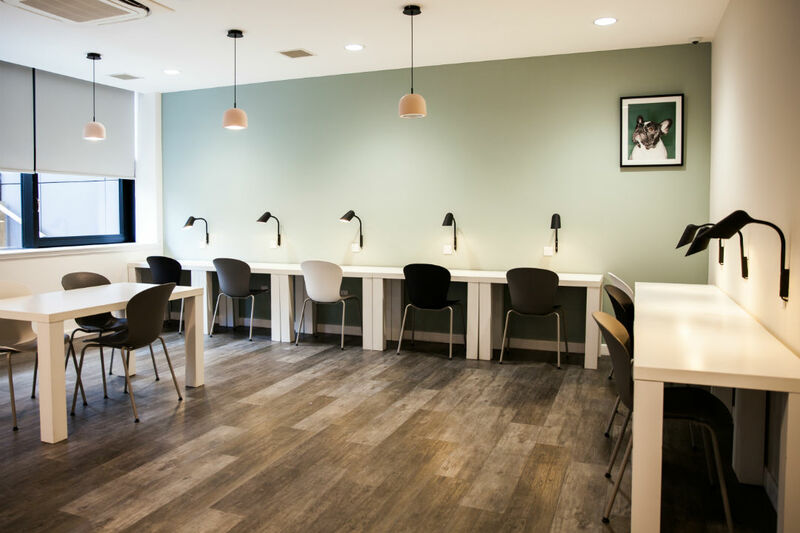 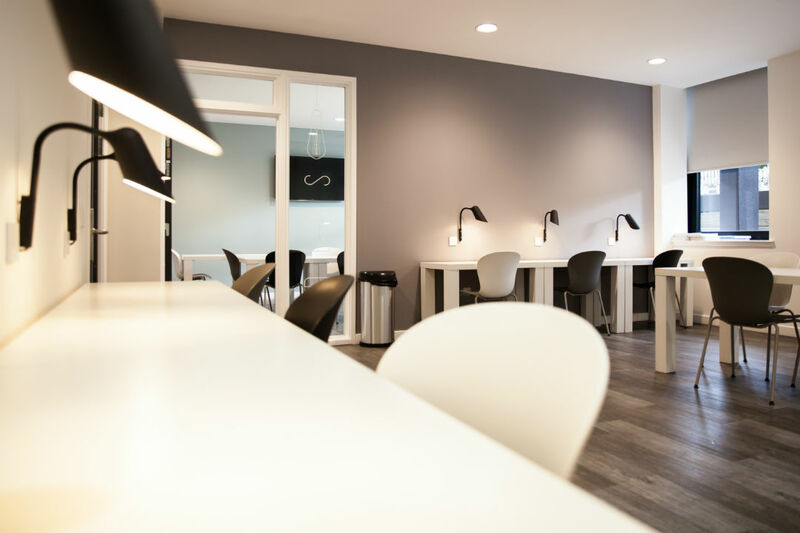 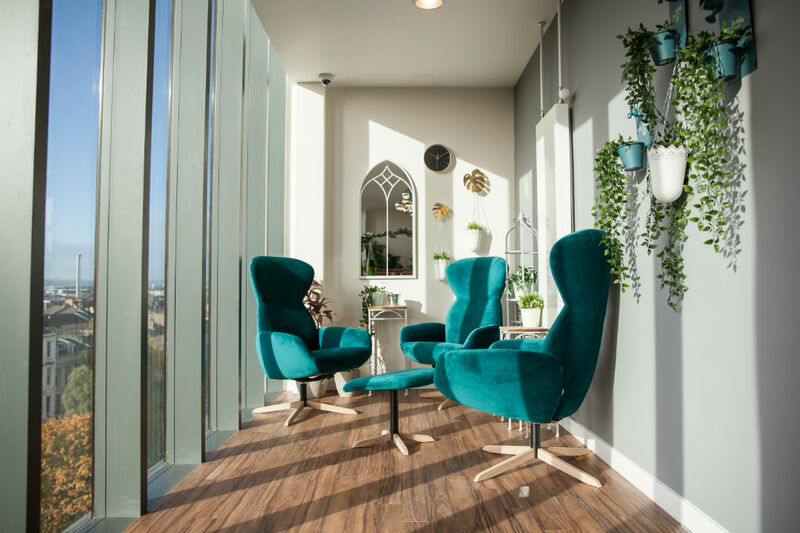 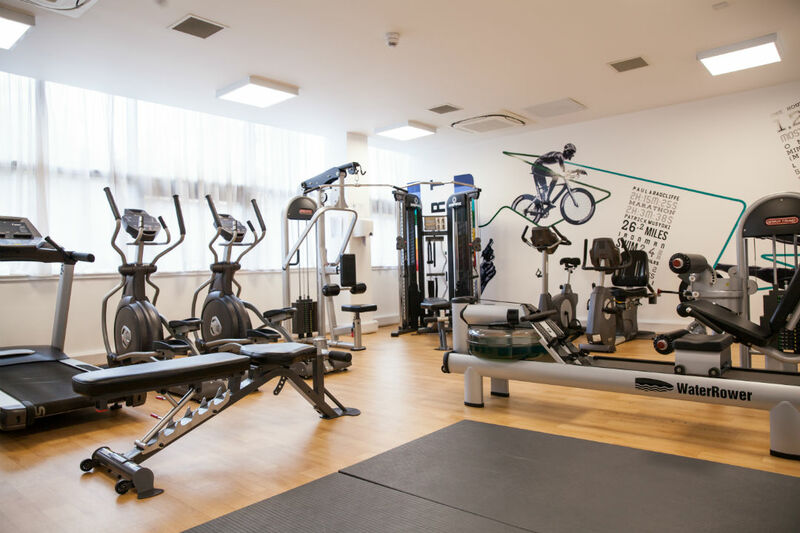 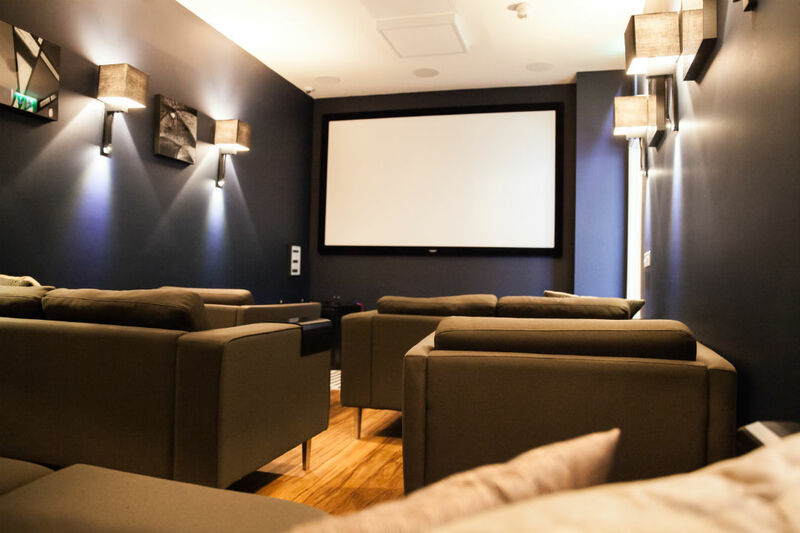 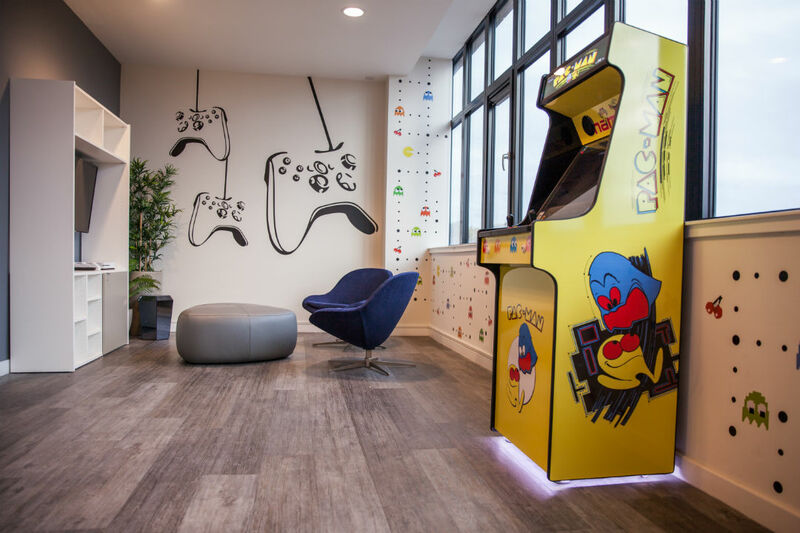 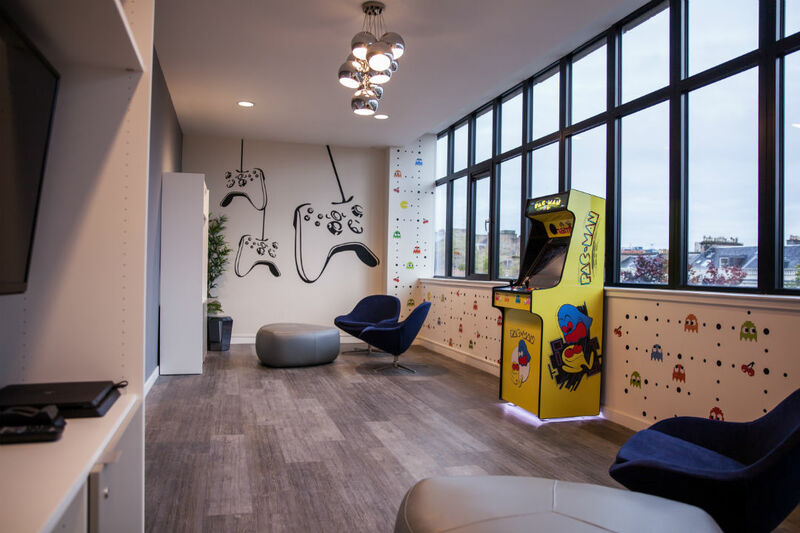 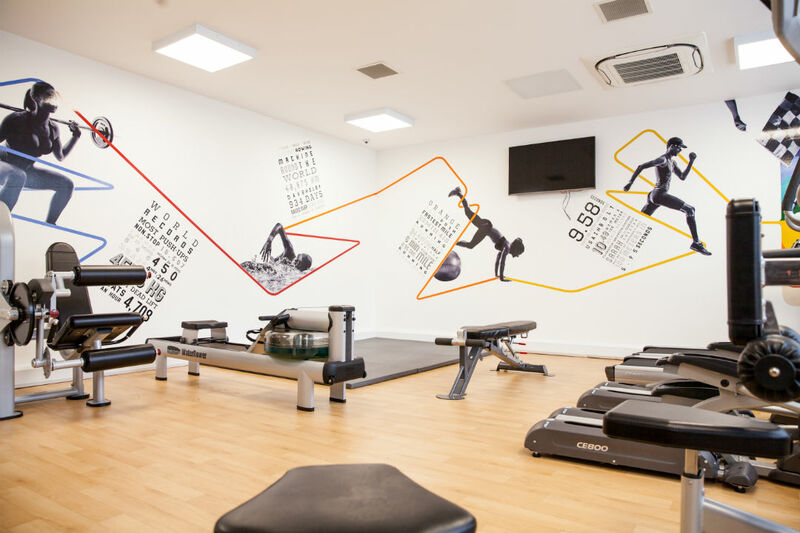 There are fantastic spaces for socialising and studying and if you love films, then you’ll enjoy our state-of-the-art cinema room whilst gym-goers will revel in the free on-site gym. 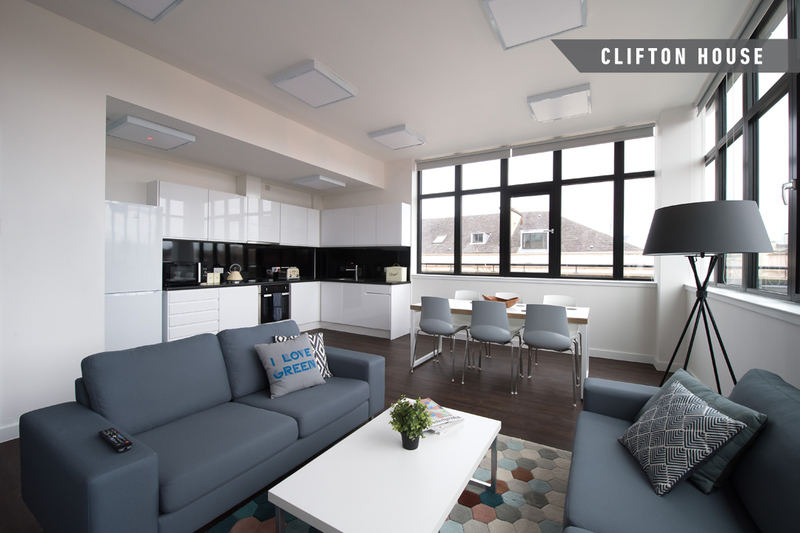 Student living really doesn’t get much better than this.